Having your own pool saves you energy, promotes a sense of community and overall good health within your family and in the long run, can even save you money. It’s fall, which means it’s the perfect opportunity to build a pool (and it’s not nearly as difficult as you might think.) The key to a perfect pool building experience? Begin right now—and enjoy it all year long. If you’ve thought about building a pool for a while now, you may imagine one particular outcome over and over (altogether preventing you from starting the project). That image is managing a team of construction workers and contractors while the blazing sun in the summer heat cascades down on you. Building a pool in the fall allows you to bypass the ‘heat stroke’ problem, altogether. Building a pool is about making mindful choices in order to have the best experience, possible. The difference between a stressful pool building experience and a pleasant one comes down to one thing: the contractor. Luckily, for those who begin building in the fall, they have their pick of the litter. It’s never been a better time to take advantage of the best contractors around. Without multiple projects to distract him from yours, you’ll have the guarantee that you’re money on him is, well…priceless. If you’re hesitating on building a pool for one—and one reason—only (the cost involved! ), you may want to think again. The fact is, building a pool in the fall has one MAJOR benefit to families everywhere: a possible reduced cost that you can’t find during the peak pool building months. Why not catch the manufacturers when their numbers are going down and their inventory is overstocked? Building a pool in the fall means it’s never been more affordable. As you seriously begin thinking about building a pool, it’s important to consider the convenience factor—and just how much that one aspect of having a pool will save you in terms of gas, public pool fees and your energy level. 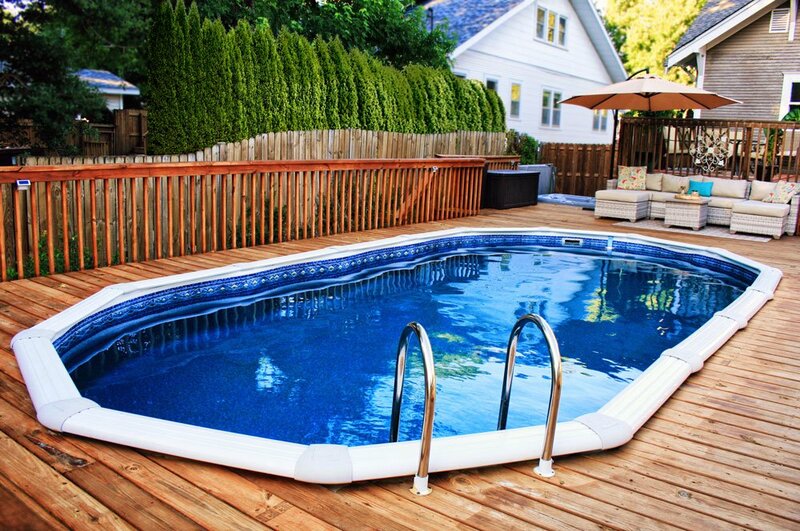 A pool in your backyard gives you the benefit of swimming all year round (without strict pool hours to deal with! ), and improve the overall health of your entire family. Enjoy nighttime swimming in the summer, morning laps in the spring and the ability to step out into your backyard and have the luxury of a pool waiting for you year round! Building a pool in the fall means that not only will you be able to enjoy it for the rest of the year (while your friends and neighbors are having to succumb to public pool hours, or forgo on the swimming until summer), but the overall process of building your pool will run more smoothly than if you started the process during peak pool building season. 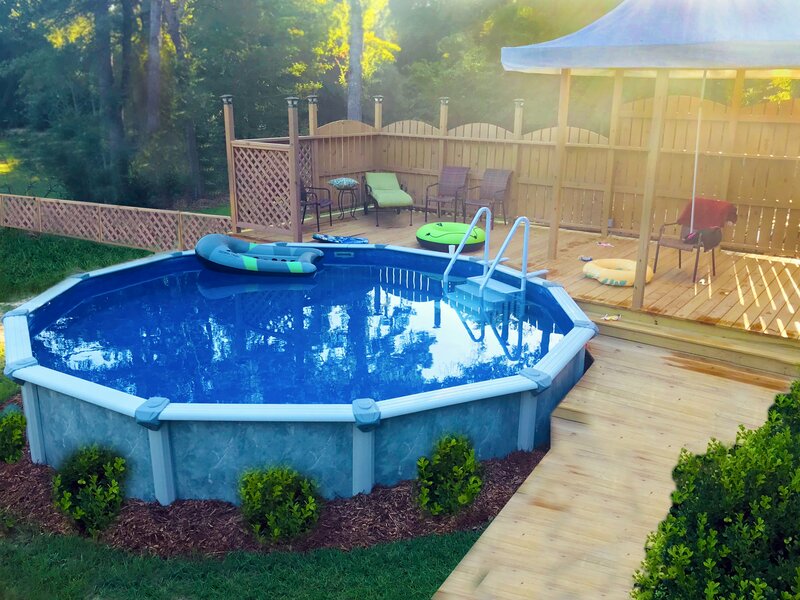 Building your pool now means that your construction team will be able to focus solely on your project, and keep their head in the game (without the pesky humidity of the summer to deal with). Without scorching temperatures and multiple projects to handle, your construction team has got your back—and most importantly, the pool of your dreams under control and on its way.